In very not true-to-form form for me, it has taken me a week to get my haul from the Professional Beauty Show up. I went to the show last Sunday, I was there bright and early with the larks and tried to get as much of my business down as early in the day as possible. The very lovely Waxperts team invited us down to the back for some refreshments and I met lots of lovely blogger friends and had the chats, it was great to catch up with so many people. All my usual favourite stands were there on the day, bigger and better than ever before. This year was hard going, more so than other years, I really just couldn't cope with the heat and the crowds in the RDS so when I packed my bags into the boot of my car after my first tour around the hall, I couldn't bear to go back in. I was also disappointed that some of the card machines at the various stands were not working and the queue for the ATM was beyond ridiculous that I had to leave without picking up some bits from my favourite stands. PLEASE next year have functioning card machines for those of us that don't like to carry a lot of cash. Aside from the heat, the crowds, the vicious women and the non-functioning card machines, anyone who went to the show on Sunday was also subjected to the absolute travesty of counterfeit makeup being sold from one of the exhibitors there. It was beyond disgraceful and I am not even going to set out my opinion of the integrity of the organisers of the show in this post- allegedly they say they were not aware counterfeit makeup was being sold yet they are meant to be professionals in the beauty biz- there are no flies in my eyes and I don't buy it for a second. A very very poor decision on their part. All that aside, I did manage to get some shopping done on Sunday morning. Now I did make a promise to not pick up any OPI nail polishes from the Hennessy stand as I have dozens of OPI polishes that I barely even look at in my collection, I really wanted to try the new Infinite Shine ones (I have this inate curiosity about new things) so I picked up the pink (Girl Without Limits) and the red (Raisin' the Bar) to test out. It will be hard for me to take a break from my beloved Vinylux or new love Shellac for long enough to try these but at €6.99 a pop, they were a good price. I also picked up some OPI Nail Envy which I do like and this one came with a free Avoplex Cuticle Oil and was only €13.50. Finally, I picked up the a repurchase of the Glamglow Supermud face mask- I adore Glamglow and at €38, it was a pretty good price so I got one. They also three in a 10g sample size which will be handy for traveling. I've long time been looking at the Cailyn Ireland 'O! WOW BRUSH' as a toothbrush shaped foundation brush is quite a novelty in anybody's eyes, especially when you are a flat top kabuki gal like I am. The girl at the stand tried this out on my hand and it felt nice, and again, that insatiable makeup curiosity that I have got the better of me and I wanted to try one out for myself. I think these are usually about the €30 mark (stockists on their website) but the show price was €25. Keep your eyes peeled on the blog for a review of this in the coming weeks, I feel like this will be a Marmite product that you either love or hate. I'm looking forward to trying it for myself on the face. The team from National Beauty were out in force with the first Kent Salon stand to grace the hallowed halls of the RDS. I've long time heard of Kent Salon brushes but had never tried. I'm a lover of the Wet Brush for going through my tangles so I was looking for style/finishing brushes and I picked up three altogether. I picked up the no.13 (smaller) and the no.10 (larger) for blow drying my hair, there is a nice bit of weight to them so I think they will serve my hair well, and I also picked up the large paddle brush no.1 to bring some shine to my long hair. 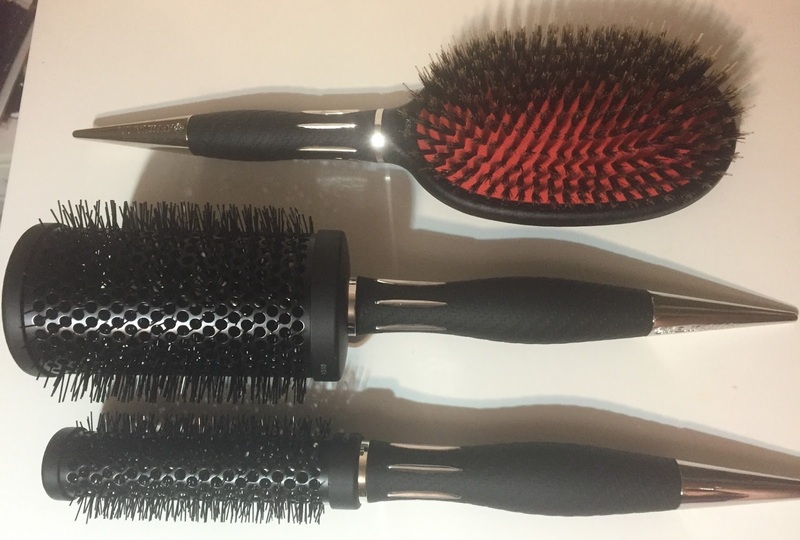 I think the small blow dry was €13, the larger one was €16 and the paddle brush was €19 and they all came in very fancy carbon fibre finish cases which I know my manfriend is going to rob on me. I picked up some random essentials from a stand that I cannot quite remember the name of. 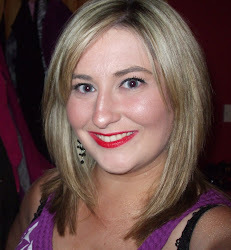 The Uniq One Leave in Hair Treatment was on my shopping list- I'm a huge fan of this stuff and have blogged about it on here before. I couldn't get near the Salon Savers stand to purchase it but was delighted when myself and the beautiful Gemma from Beautynook.ie spied it at a different and less busy stand. I also picked up some lint free wipes for my at-home manicures and a nail file to have as a spare. All three together were €15, cannot remember the individual prices. I have a bit of a love/hate relationship with Celtic Candles in that some of them are amazing, some are sickening and some are useless because they kick off no scent at all. After picking up a lot of different scents at the last show, I just went back for three of my favourites this time around. They were €15 quid a piece and I got the scents White Jasmine, Fresh Cotton and Relaxing. Butter London also had a stand there and I picked up my first Butter London products- four nail polishes in (l-r) Chimney Sweep, Brown Sugar, Lovely Jubbly and Pillar Box Red. The polishes were €5 each and I also picked up a box of "Scrubbers" for a fiver which are nail polish removal wipes and I've been promised that these are amazing for taking off glitter nail polish. I hope they live up to the salesperson's hype! Lastly (but actually was my first port of call on the day given the huge queues always at this stand) was the Sweet Squared stand which stock a load of beautiful nail products, including of course, my beloved Vinylux which you know I love ever so dearly. I have been wanting to try my hand at my own Shellac for a while now so I picked up some Shellac bits today also. I got the Scrubfresh, Nourishing Remover and Cuticle Away for the first time, as well as a repurchase of my much loved Rescue RX nail treatment. I got the Shellac base coat, the new Xpress5 top coat and three shades of Shellac to keep my ticking over - the shades Rose Bud, Red Baroness and Cake Pop - and all of these were about €19 a piece including VAT. I picked up two back ups of my beloved Vinylux as they are only 6 quid a piece including tax from the show and this is a brilliant top coat not only over Vinylux but over any nail polish. Then of course, my pride and joy, I picked up 10 bottles of Vinylux (again it's only 6 quid a bottle so it is sinful not to stock up). I got the shades (l-r) Winter Glow, Thistle Thicket, Lilac Longing, Gotcha, Tango Passion, Decadence, Masquerade, Nordic Lights, Dark Lava and Dark Dahlia. I cannot even convey my love towards Vinylux and will have a post up very shortly on the four gorgeous new colours from the new Winter 2015 collection so keep your eyes peeled for that. Overall, a pretty restrained trip for me but like I said, once I got out into the fresh air, I couldn't bear the thought of going back in again. Did you make it to the Professional Beauty Show this year? How did you get on? I am absolutely shocked about the counterfeit make-up! Was it glaringly obvious that it was counterfeit or how could you tell? Dear, I like all your post. Everything looks so sweet, I admire this kind of life and the best wishes for you. Hope that we can communicate with each other. By the way, anybody try this partition resize windows 2003 ? I lost my partition and I don’t know how to recover.